The Suyi Portable Foldable 2 Person Camp Hammock is a premium quality lightweight and durable piece of stealth camping kit. It has a maximum load capacity of 200 kilograms and is easy to pack and carry to far off locations. 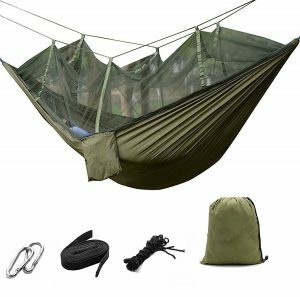 This hammock is suitable for a variety of climates and weather conditions lending itself to cycling, climbing and hiking.